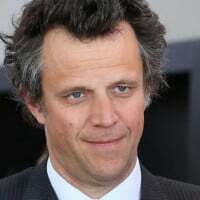 Publicis Communications, headed by Arthur Sadoun, will include all the creative companies (Publicis Worldwide, Saatchi & Saatchi, BBH, Leo Burnett, Marcel and PR operation MSL among them). Then there’ll be Publicis Media headed by Steve King, Publicis.Sapient which will include Sapient Consulting, Sapient Nitro, Digitas LBi and Razorfish, headed by Sapient’s Alan Herrick, and Publicis Healthcare, led by Nick Colucci. Each big account will have a chief client officer who’ll cherry pick what he or she thinks the clients needs, from wherever. Current Starcom boss Laura Desmond will be the company’s first group chief revenue officer sitting above the CCOs, charged with making money out of all this. She’ll also be in charge of new business across the piece. Does this mean she’s now number two in the organisation? Presumably, if a client is unhappy with their chief client officer, they’ll go to Desmond. Or will it be Sadoun or Herrick? Here’s what Levy has to say about it all. Where to start? There’s much talk here of ‘solutions,’ redolent of the times when ambitious plumbers stopped being plumbers but became the dispenser of ‘plumbing solutions.’ It may mean something or it may not. Publicis is in a hole at the moment. The group has stalled since the aborted merger with Omnicom in 2014. Tech outfit Sapient, which it bought for $3.7bn on the rebound is bringing in the revenue but organic growth elsewhere in the group has dried up. When this happens the quickest solution is to cut costs. It’s hard to see Publicis not doing more of that at its agency networks (there’s already a pay freeze in place) if these four new hubs become, in effect, its calling cards. Levy says he’ll continue to back and invest in his agency brands but you wouldn’t bet on them all being there in a few years. At best some of them will be ‘white label’ operations. In lots of ways this mirrors WPP boss Sir Martin Sorrell’s beloved ‘horizontality,’ team this, that and the other client plucking resources from around WPP. But the Publicis restructure is more radical. Will it serve clients better by shortening lines of communication or leave anxious managers fighting like cats in a sack? The proof will be in the performance pudding but how long will investors give Levy to make this work? Like its major quoted rivals Publicis is lumbered with quarterly reporting. Will the next set of accounts include a big restructuring hit? And the succession issue looks no clearer. Desmond will be holding the purse strings and charged with new business, a strange amalgamation. Sadoun’s in charge of the most high profile hub while Herrick is the boss of digital – the future, according to Levy. It all starts in January when a new executive committee will be announced. This in itself will be interesting. Don’t expect to see too many agency bosses on it.